A trip to Australian snowfields promises a winter wonderland and fun for all the family. With ski schools, day care and family package deals springing up at every mountain, convenient ski holidays involving the whole family are becoming more and more affordable. Read on to get the low down on the best Australian ski resorts for families. If you’re looking for a good getaway for the family here is our pick of the best Australian ski resorts that cater for the whole family, even those too young to ski. According to Holidays with Kids the Selwyn Snowfields resort is a family winter playground. Selwyn has every winter activity covered for all ages. 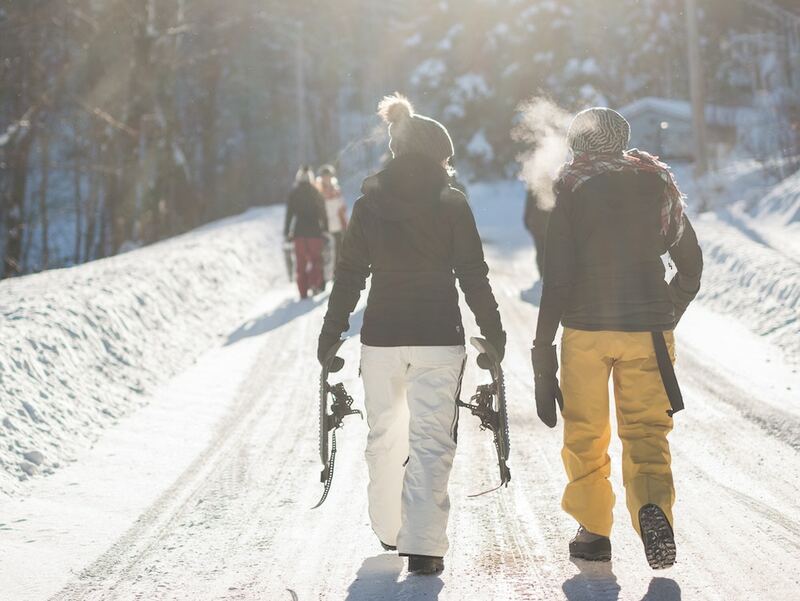 Both alpine and cross country skiing are available in addition to two new Parks for skiers and boarders, two adrenaline pumping snow tubing facilities, snow biking, snowshoeing and the only toboggan run left in NSW. To top it off Selwyn Snowfields offer exceptionally low prices compared to other snow resorts which is a must for a large family! Perisher has seven mountain peaks and snow villages abundant with accommodation and restaurants including Perisher Valley, Smiggin Holes, Guthega and Blue Cow Terminal. The four terrain parks, super pipe and mini pipe cater to the more advanced skiers and boarders while the resort’s ski and snowboard school is world class, taking children as young as four for skiing, and six for snowboarding. It also offers 100 km of cross country trails, night skiing and a snow tube park. Need a car battery at Perisher, contact Matt and team at Jindabyne he is a local legend and your local Battery Expert. A great resort for snow-play families. Lake Mountain is a quick-120 kilometer drive from Melbourne which perfect for an easy weekend away. Holidays with Kids recommends it for its seven toboggan runs, great snowman making areas, snowshoe tours, sled rides and Nordic walking! It’s also perfect for cross-country skier enthusiasts with 37 km of cross-country trails and 2400 hectares of alpine snow gum forest. The best thing about Lake Mountain? The use of the slopes is free! You only need to pay $56 at the gate per car. Though slightly pricier, if your children fall into the older age bracket then Falls Creek is worth the little bit extra. Given a perfect 10 rating for its child-friendly facilities, Falls Creek has an excellent Kids Snow sports school with several magic carpets and 450 hectares of skiable terrain mixing with a good amount of beginner’s terrain. It also has snow bikes, 65 kilometres of cross country trails, the best snow tubing park in Australia and night snow activities under lights. Falls Creek regularly tops the list of best Australian ski resorts for snow bunnies of all ages! For a stay, Mt Buller is the closest big ski resort to Melbourne. Plenty of restaurants and pubs adorn the well-populated village in addition to a cinema and alpine spa retreat. Aside from the non-snow related attractions, Mt Buller has the state’s largest network of trails, with 25 lifts, a half pipe and rail park. The world-class snow sports school caters for budding skiers from three to 14 years, and snowboarders six to 14 with a specific area for beginners. Mt Buller also has a snow tube park and toboggan runs!